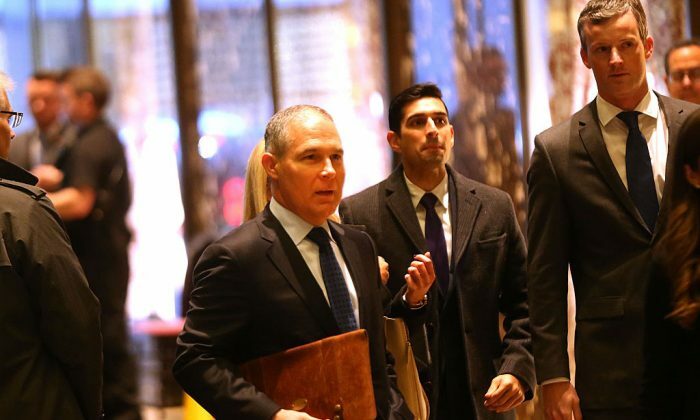 The power exerted by a U.S. president or Environmental Protection Agency (EPA) administrator is diluted by layers of litigation and regulatory processes. President-elect Donald Trump has made a splash with his threats to roll back major environmental regulations. And he made another big splash with his selection of Oklahoma Attorney General Scott Pruitt—who has led several court battles against the EPA—to head the EPA. But Trump and Pruitt will only have a little wiggle room to make changes. Any changes through litigation or regulation would take years and would be subject to further challenges in court. Instead, Pruitt or Trump could use budgetary decisions to feed or starve policies they like or dislike. They could also affect the extent to which such policies are rigorously enforced. Trump and Pruitt have spoken out against the Clean Power Plan, President Barack Obama’s flagship environmental policy to cut carbon emissions by regulating power plants. They have also spoken out against the Obama administration’s interpretation of the Waters of the United States rule, which determines which water bodies fall under the EPA’s jurisdiction. Pruitt opposes these regulations because he believes that no law passed by Congress authorized them and that they are bad policy. In particular Trump and Pruitt denounce the economic effects of the Clean Power Plan. Pruitt’s connections with the oil industry will be a topic senators will raise in his confirmation hearings. A coalition of 29 state attorneys general, including Pruitt, have challenged the plan, which is currently on hold as the D.C. Circuit Court of Appeals considers its legality. While 28 other attorneys general stand with Pruitt, many of the remaining states strongly support the Clean Power Plan. 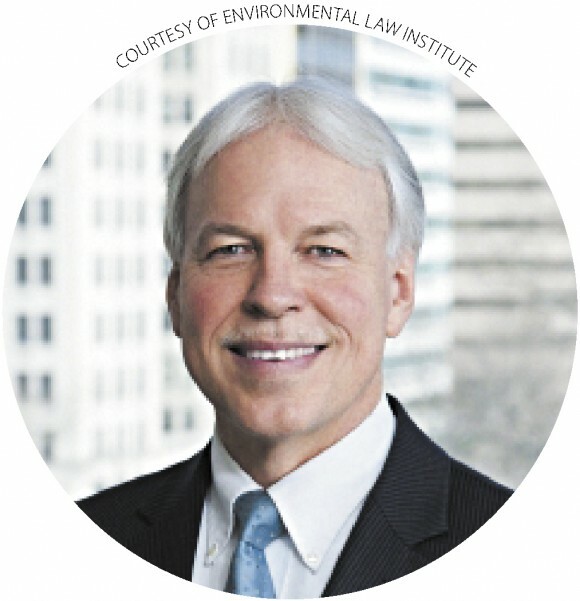 “At the first sign EPA proposes to undo the Clean Power Plan, you can bet there will be lawsuits filed by the State of California, probably the State of New York and many others, by the Natural Resources Defense Council, and probably many other groups,” said Michael Kraft, professor emeritus of political science and public and environmental affairs at the University of Wisconsin–Green Bay. Whatever decision the D.C. Circuit Court of Appeals makes on the plan, it may not signal a clear win one way or another. It could all be a sort of symbolic victory for the Trump administration, but which actually doesn’t change much on the ground. Various scenarios could play out depending on whether the court decides before or after Trump’s inauguration and whether it decides in favor of or against the plan, explained Harvard environmental law expert Jody Freeman in a post on the university’s website. In the best-case scenario for Trump and Pruitt, the ball will fall into the hands of Pruitt’s EPA. But even under this scenario, for the EPA to make new regulations it would have to wade through legal challenges, like opposition from states. The process of proposing a new regulation is also lengthy, with the public comment period alone taking more than a year. “It could all be a sort of symbolic victory for the Trump administration, but which actually doesn’t change much on the ground,” Kraft said. Whatever regulations are in place, Trump and Pruitt may be able to influence the budgeting and enforcement that puts those regulations in force—or deflates them. Freeman similarly noted that measures prohibiting agency spending on anything related to greenhouse gas regulation, for example, could be slipped into appropriations bills or omnibus packages. Republicans will control Congress, but with only 52 senators, they don’t have a filibuster-proof majority. Though Democrats could thus halt many direct changes to environmental policy, it may be harder for them to oppose measures tucked into these bills or packages. If the EPA were to go light on enforcement, and not investigate cases and not initiate administrative or judicial prosecution, that would be very impactful. “One part of [Pruitt’s] approach that we don’t know much about is how he’ll approach the question of enforcement,” Fulton said, adding that Pruitt has spoken only about rule-making and greater autonomy for states. “If the EPA were to go light on enforcement, and not investigate cases and not initiate administrative or judicial prosecution, that would be very impactful,” he said. Pruitt could not be reached for comment. He did acknowledge in a November interview on Oklahoma radio show “Exploring Energy,” that it would take time for new rule-making in the EPA, but he was optimistic that the Trump administration overall would effect drastic changes to environmental policy.